It is imperative to take good care of your oral health; so if you brush your teeth daily and ensure a healthy oral hygiene, it means that you could be at a lower risk of suffering from oral health problems. It is imperative to take good care of your oral health; so if you brush your teeth daily and ensure a healthy oral hygiene, it means that you could be at a lower risk of suffering from oral health problems. According to a study published in the study in the Journal of the American Geriatrics Society, taking good care of your mouth, teeth and gums is a worthy goal even at old age. It is because oral health problems are linked to greater risks of developing frailty in older adults. The presence of oral health problems is associated with greater risks of being frail and developing frailty in older age. For the study, researchers analysed 1,622 older men with complete tooth loss, dry mouth and cumulative oral health problems. The results indicated that frailty was independent of socioeconomic factors and comorbidities. The findings suggest that identifying and treating poor oral health condition in older people could be more important in preventing frailty. Frailty is a common clinical syndrome in older adults. It is considered to be same as disability, which increases the risk of poor health in old people like falls and disability that can lead to hospitalisation and in some cases may prove to be fatal too. Apples are a great source of fiber that act as a cleansing agent. It also contains malic acid that boosts saliva production that removes bacteria from your mouth. Nuts and seeds are slightly abrasive in texture and therefore, help in removing plaque and stains from your teeth. The high amount of vitamin C found in oranges, berries and lemons can help prevent plaque and further protect gums from infections. The calcium present in teeth can fortify your teeth and make it stronger. The protein casein helps reduce acid levels in the mouth thereby reducing gum corrosion. 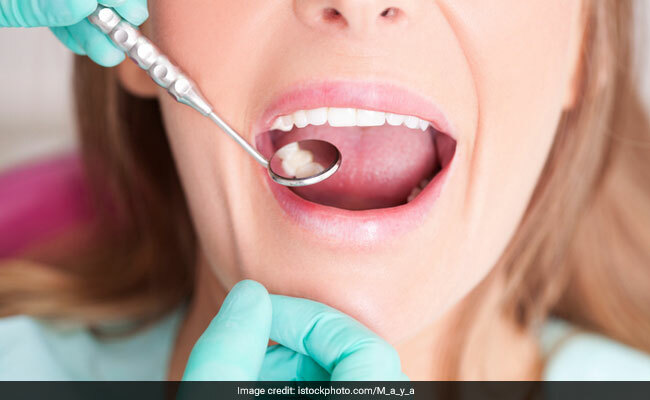 Does Turmeric (Haldi) Help Whiten Your Teeth? Find Out!